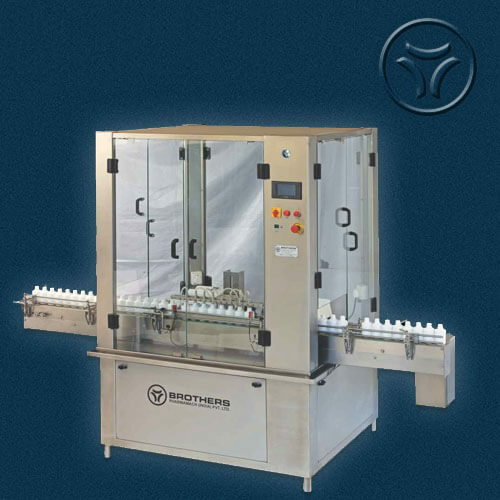 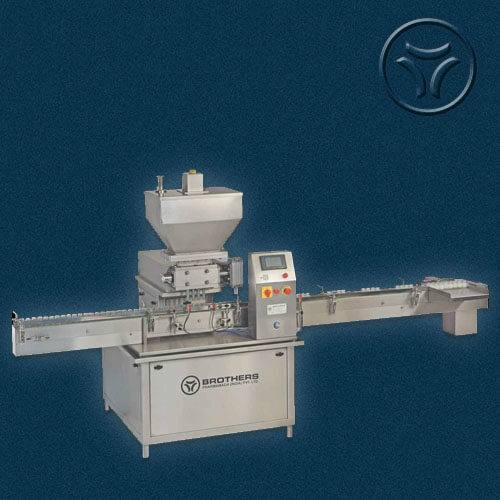 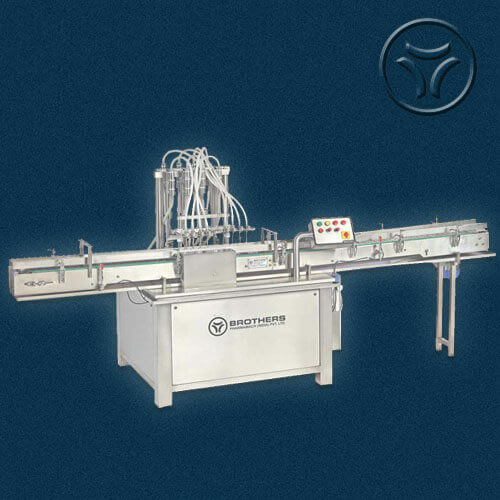 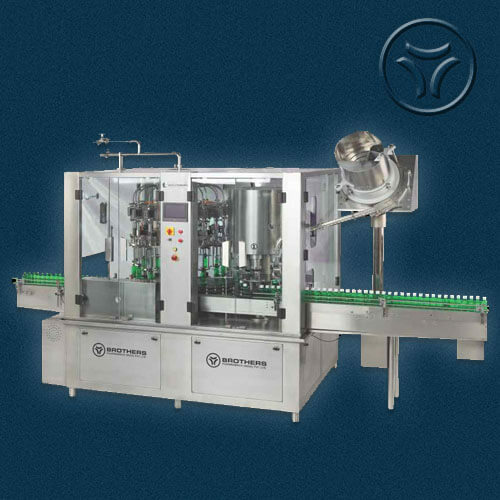 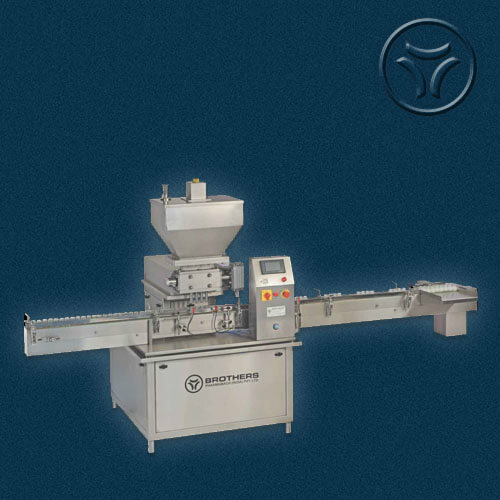 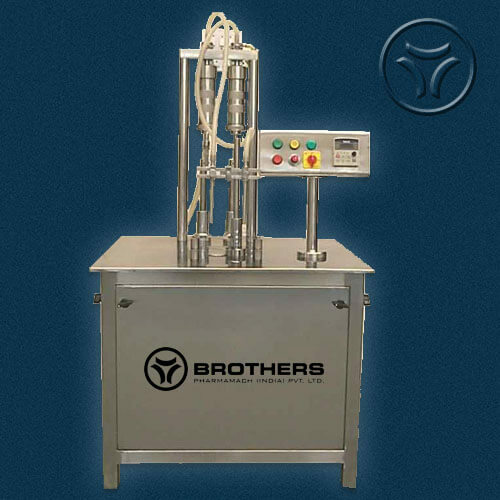 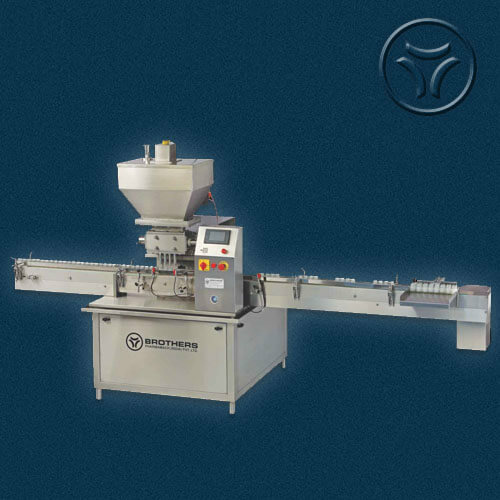 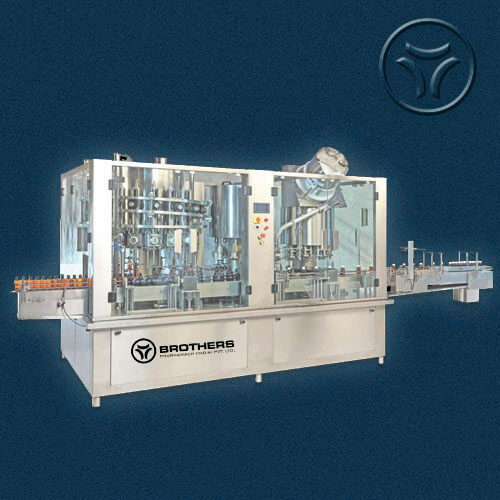 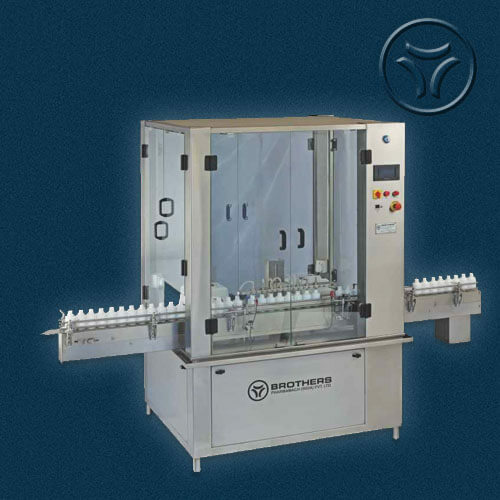 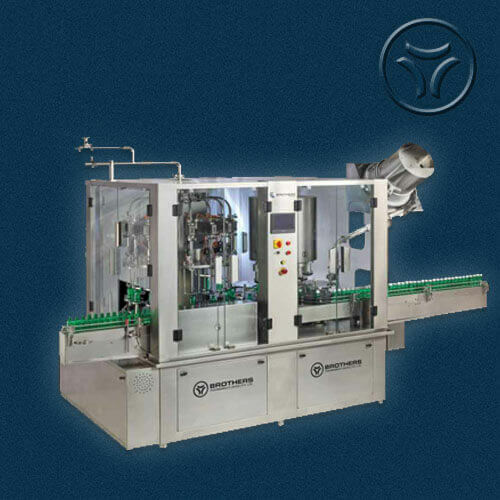 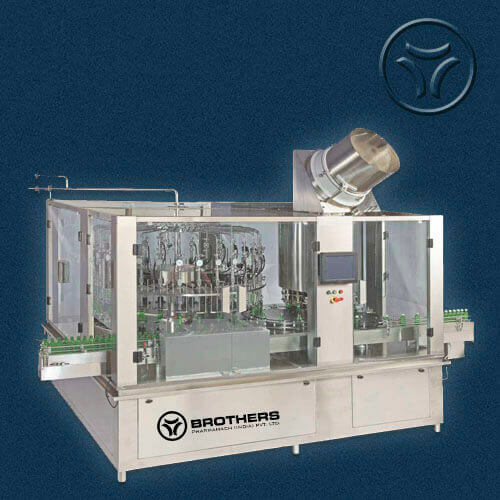 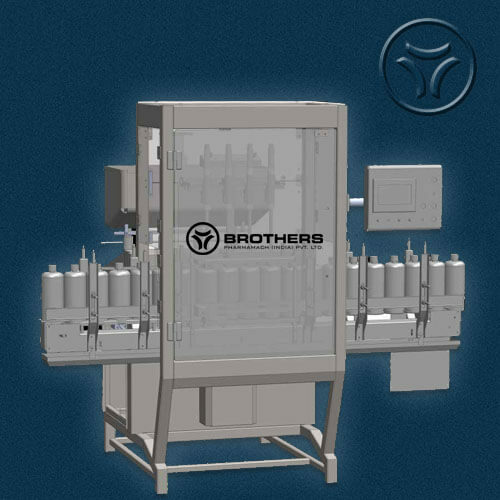 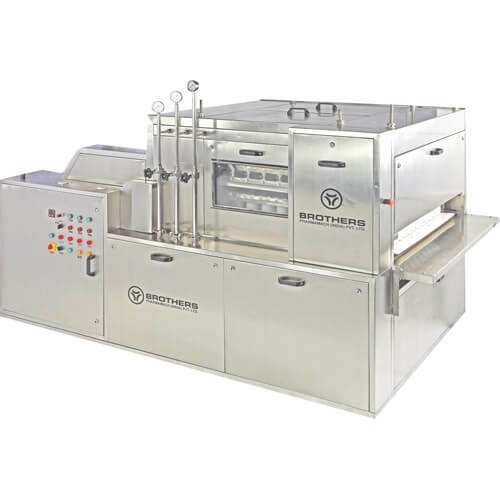 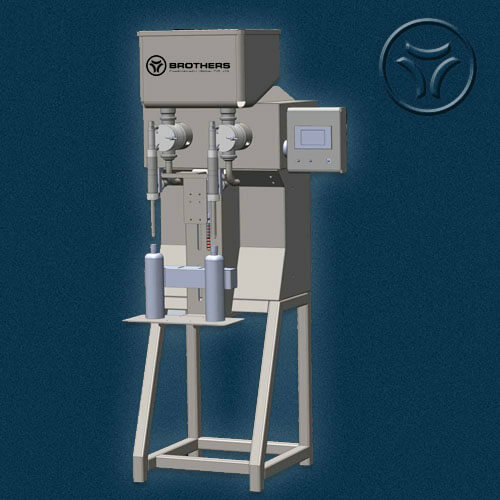 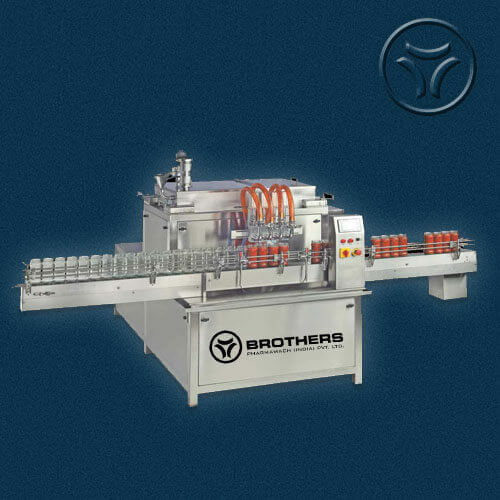 Automatic Eight Head Volumetric Viscose Liquid/Paste Filling Machine Model VISCOFILL - 120 is suitable for Round or Flat shape Bottles or Jars with maximum speed of 100 Products per minute. 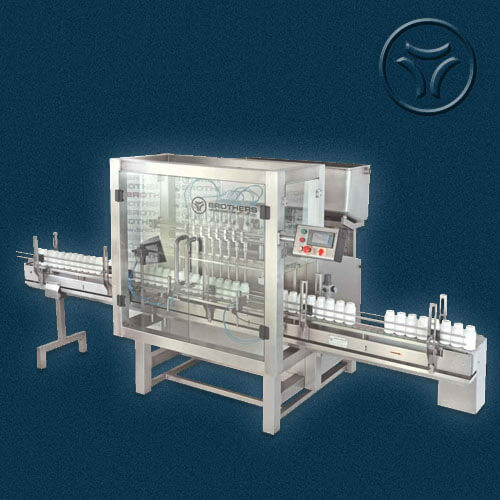 Machine design specially suitable for Viscose Liquid or Gel/Paste which also require to Fill HOT with Temperature of 40 to 50 degree Celsius. 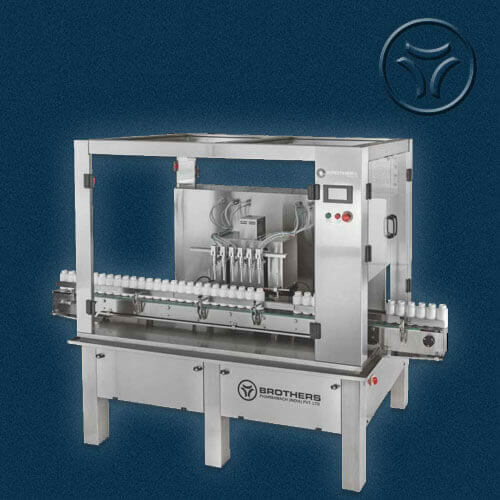 Machine suitable for Normal as well as Hot type of Liquid/Paste/Gel such as Cream, Lotion, Balm, Petroleum Jelly, Ketchup, Mayonnaise etc. 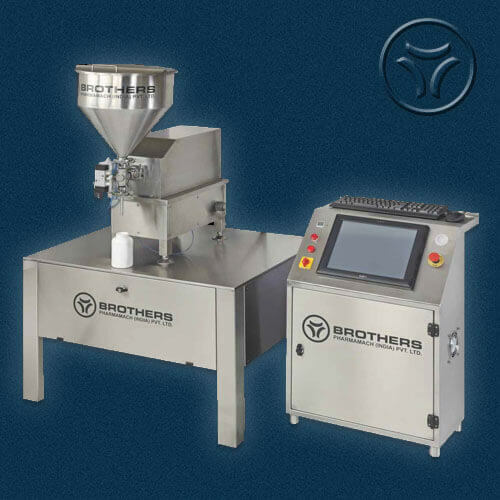 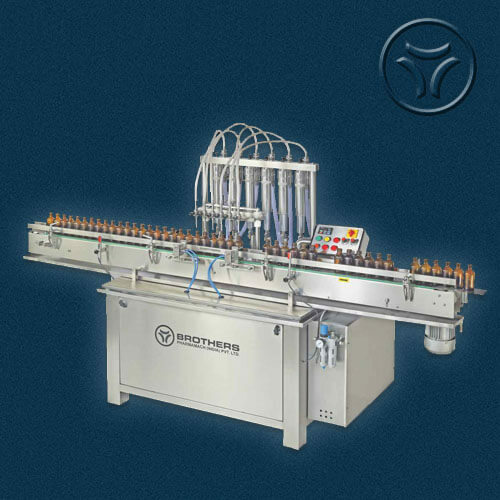 Machine construction in Stainless Steel finish with Eight Nozzle Operation. 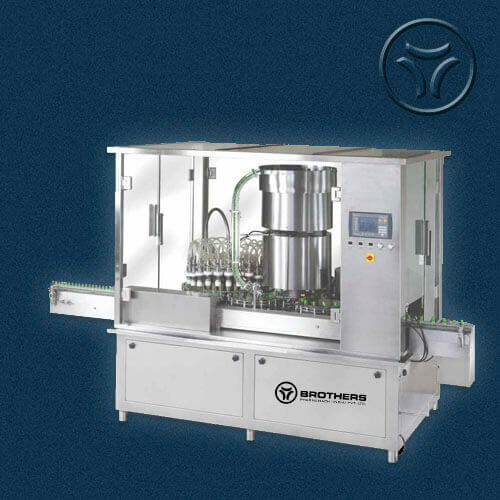 All parts coming in contact with Liquids are made from S.S. 316 Materials. 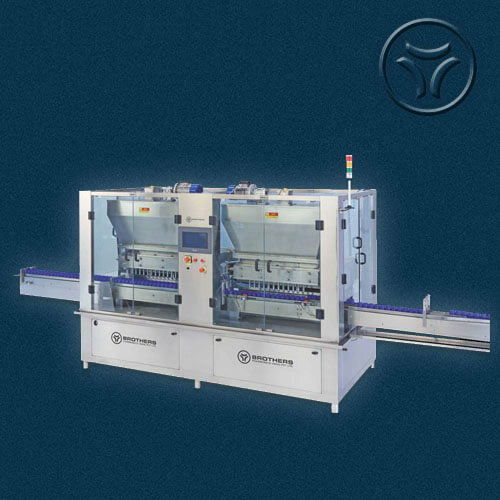 Machine with A.C. 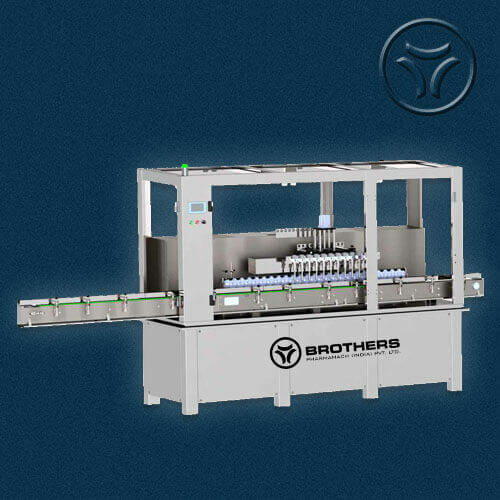 Variable speed drive system to achieve minimum and maximum speed of conveyor for each and every size of bottles using single speed pot. 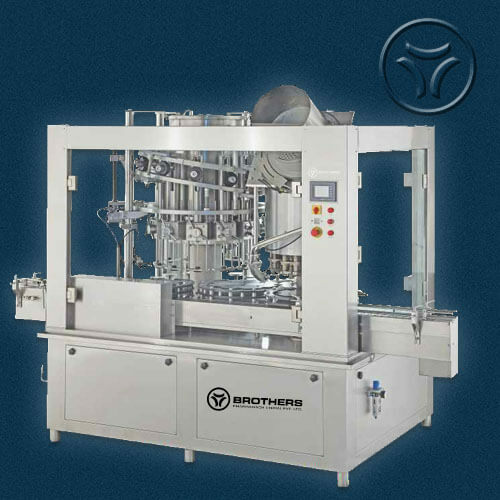 Machine with inbuilt Tank of appx. 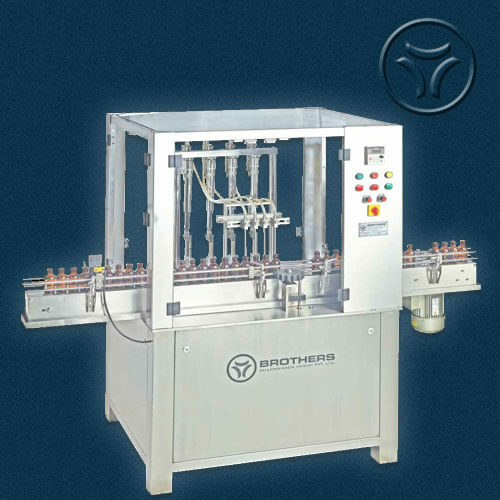 50 Litre capacity depending on Product and Machine offered.